Analytical services are critical at every stage of pharmaceutical R&D, from the first synthetic step of even the shortest process, all the way through manufacturing. 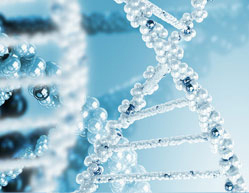 We provide broad analytical support for preclinical, clinical development, and manufacturing. To support the development and manufacture of active pharmaceutical ingredients (APIs), we provide analytical method development and validation services, the capability to synthesize and certify analytical reference standards, and an ICH-compliant bulk active stability program. One of our core strengths is developing chiral assays to evaluate enantiomeric purity. Often, the biggest challenge in chiral assay development is to evaluate many different chromatographic stationary phases in order to find the right conditions for the separation. We know that time is imperative; with our state-of-the-art chiral screening platform, we can evaluate up to 18 different chiral stationary phases and multiple solvent conditions in order to identify a preliminary separation, typically within 24 hours. With expertise in isolation and spectroscopy, our scientists can rapidly identify the structure of unknown impurities/degradants in active pharmaceutical ingredients and, intermediates. Our analytical team uses state-of-the-art instrumentation to isolate, analyze and identify impurities. Instrumentation includes several 300 MHz and 500 MHz NMR units, with multinuclear capabilities (1H, 13C, 31P, 19F and 15N), LC/NMR, FTIR, LC/MS/MS, and GC/MS. We can develop and validate the appropriate methods or transfer your validated methodology into our laboratory. We welcome client audits to review our Standard Operating Procedures and verify our compliance with current Good Manufacturing Practices.